This past New Year's weekend was a brutal one weather wise Upstate where we visited. 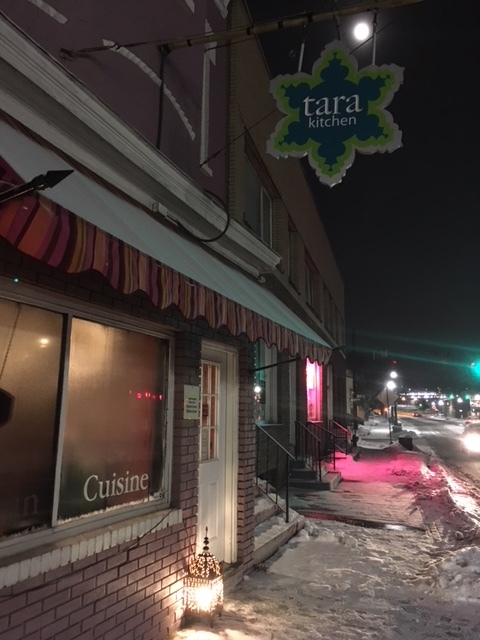 One of the bright spots for us was the experience of dining at Tara Kitchen in Schenectady. Tara Kitchen serves Moroccan fare which we love but don't indulge in nearly enough. Owners Aneesa Waheed and Montasim Shoaib have created a place of extraordinary warmth with a dazzling menu full of exotic combinations of flavors. Lynn and I sampled the Harissa Dip which was a fusion of the heat and savoriness of garlic along with the sweetness of cumin. So it was with the Harissa Olives and the Lamb with Cauliflower Oranges and Black Olives. 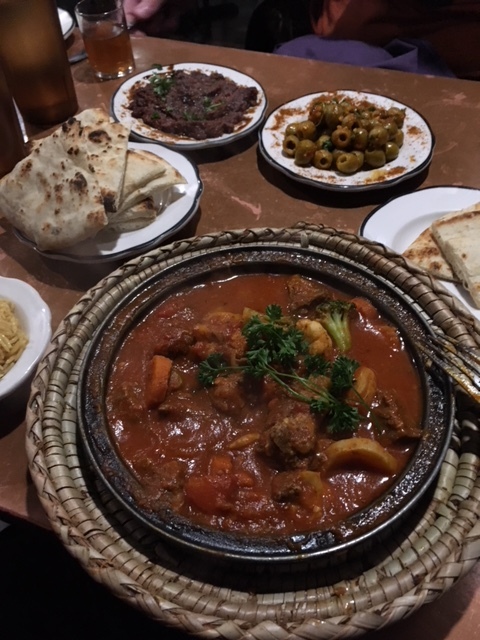 The service was casual but extremely efficient as our waitress attended to our every query about the food, expertly weighing in about the menu and the subtleties and nuances of the flavors and spices. The heat of the food was a particular tonic to us as the temperature hovered at minus 10 degrees just outside. Tara's got our highest recommendation which is "If this place was near where we lived we would go there all the time."